Took a little breather and went to Interlaken for a long weekend getaway. Nah, who am I kidding. I had some things to do and sort out over there, so rather than a good breather, it was a hustle kinda break, including a bit of a disastrous bike transport across half the country and lots of rain. 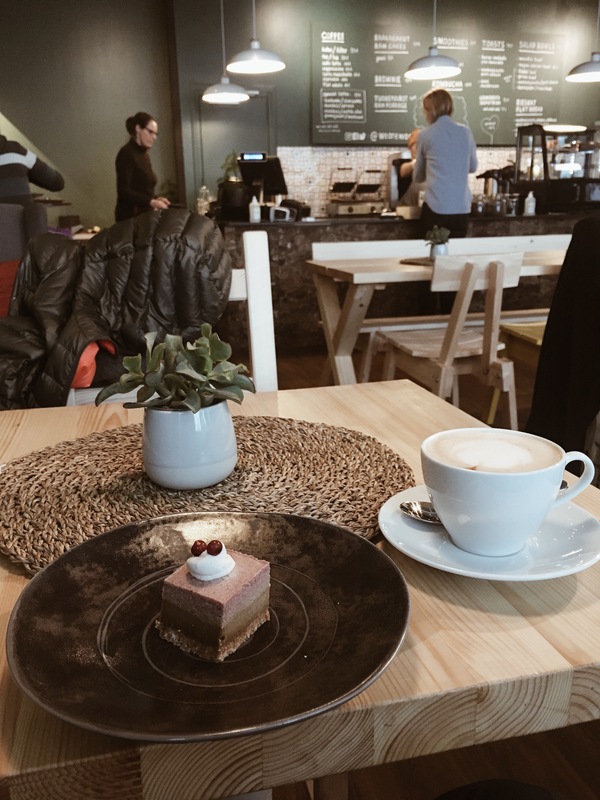 Nevertheless, past Sunday was more than relaxed in there, thanks to a beach hangout and Sunday afternoon coffee in the newest (and long waited) café in town, Velo Cafe Interlaken. 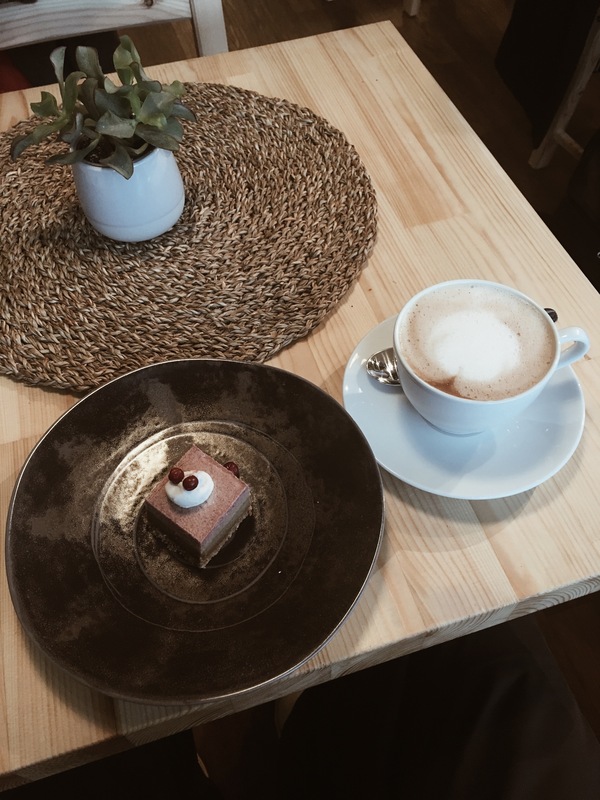 Open every day (9am to 10pm), serving excellent coffee and drinks and homemade cakes (when a carrot cake is named rabbit cake I’m more than sold), having fixie on the wall and a nice little terrace – not to forget the overall looks seen in the pics – the café has very high hipster vibes. Sometimes though, hipster – or may I say well thought – is more than a good reason to love madly. Thanks for the coffee! Someday, I’ll be back for the after ride drink(s). This week I was Home for two nights. In other words, I stayed few nights at Hostel Cafe Koti in Rovaniemi. Fun fact: almost exactly 9 years ago I moved into a house just 50m from here. Back then, this Hostel building was a bank, and on the other side of the street, where’s now an construction site for a new apartment complex, was the coolest rock club in town, “Tivoli”. During those 9 years we’ve all gone through some major transformations indeed and except Tivoli (RIP) I think we’ve all changed to better. Nowadays, in Koti, a sign behind the bar says “welcome home” and I have to say I really felt like home in here. For me, it’s not just the familiarity of the town I’ve lived in for 5 years. It’s also the mix of languages, other travelers, the stylish contemporary design which still has something left of the good old days. Moreover, the staff is awesome and entrepreneurs young and innovative, so why not to love this and feel home? I chose the private twin room, since it was a work stop for me (and since I still haven’t found a flat from this town) but for the more social travelers on tighter budget I can also recommend the dormitories, which offer both mixed and only women/men rooms. When in Lapland, of course a hostel has Sauna too. Koti’s sauna is warm every evening and open for every guest without extra charges (times: women 19-20, men 20-21). From the top floor you may also find a roof terrace called Mökki (Cabin) with wooden hot tub, bar and special events like dance lessons, live music, outdoor cinema, yoga and flea markets. 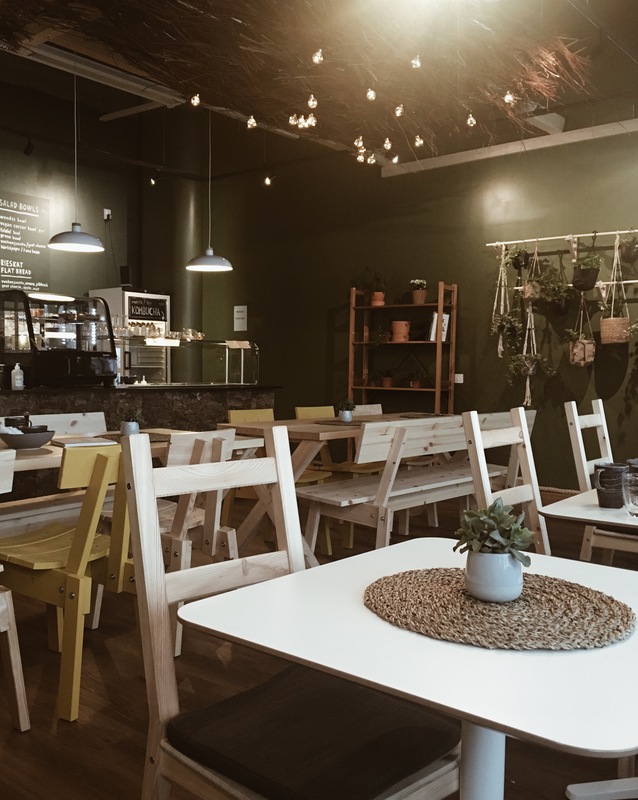 Hostel is stylish and has a very young contemporary, even a bit hipster feeling, but don’t let it scare you, older guests like the place too and the café and terrace attracts both locals and tourists. I’d give five starts for the whole experience and if you are interested, click here for details and book your stay directly (direct booking saves you some money). I got some discount for this mention, but let me tell you I’d pay the full price anytime. So much I like feeling home away from home.